Sometimes we are just not tall enough to get the job done. Cosco's ladders have been helping us reach formerly unthinkable heights since 1939. Cosco's World's Greatest Ladder allows you to perform tasks both indoors and outdoors of varying heights without ever needing another ladder. The design of the World's Greatest Ladder allows the ladder to be adjusted and function as up to five different lengths of ladders. This makes the World's Greatest Ladder one of the more versatile tools on the market. Making it stand up is made simple by the ladder's design. Ladders can be dangerous if not stood up properly. Pull the two sides of the ladder apart to use a stand-alone step ladder. While the World's Greatest Ladder is complexly designed to fit many situations, it is still very simple to pull it apart and stand it upright. When it is in its smallest form (not spread apart and legs not extended), the World's Greatest Ladder is actually quite compact. Its compact frame makes it easy to transport and pop open for those jobs that you maybe don't need a 21-foot ladder for. Unhinge the locks on the interior leg extensions. Each side of the World's Greatest Ladder can be extended various lengths depending on which size ladder you purchase. You can extend it by simply unhinging the safety locks and then lifting whichever side you would like to extend. Grab the bottom of one side of the World's Greatest Ladder while a friend grabs the other side and simply pull the two sides apart. This will transform your step ladder into a wall ladder. Depending on how tall of a ladder you require, you may not need that extra set of hands. 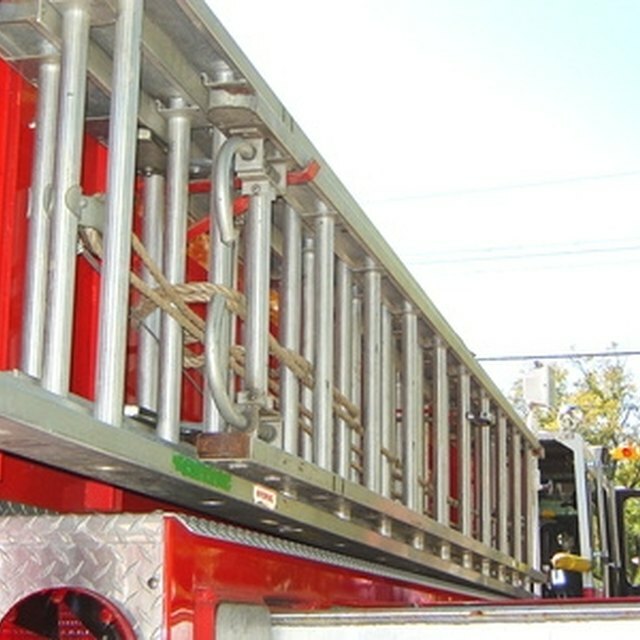 World's Greatest Ladder uses spring-loaded locking levers to safely allow you to simply execute this transformation by extending one side of the ladder over the top of the other. It literally gives you the opportunity to double the size of the ladder by unfolding it. If you are extending the ladder's height to a dangerous level, have another person standing at the base of the ladder to hold it steady for you. Keep in mind some of these ladder can be extended to up to 21 feet.